Last week we talked about selling jewelry on consignment, which involves dropping off your jewelry to a store and then getting a percentage of the sale when your pieces sell. Selling wholesale is typically more desirable than consignment because when someone makes a wholesale order, once you fulfill the order and get payment the transaction is complete. 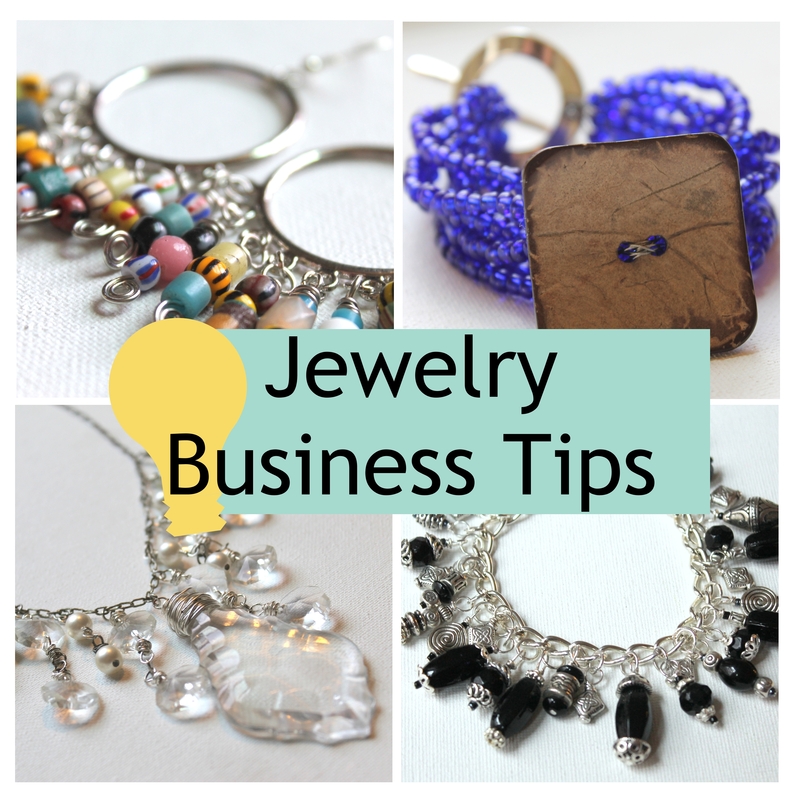 The jewelry now belongs to the store and you no longer have to worry about having inventory out and about and not sold. Your part of the transaction is over. Although I did have some wholesale orders at the very start of my business, I would say it’s much more typical that you get wholesale orders the more time you’ve been in business. However, you can definitely search out those opportunities at any point in your jewelry making career. The key to being profitable is to make sure that you set up your pricing correctly from the beginning so you can offer your products at wholesale prices. Typically you offer wholesale at a 50 percent discount when a customer reaches a certain threshold in their order. You do not have to do the 50 percent discount, but it’s kind of expected in wholesale. There are lots of things to consider. If you start getting a lot of orders, are you able to fulfill them? Do you have a catalog or a line sheet that you can present to potential wholesale customers? Do you make jewelry that even can be sold in wholesale? One way to get wholesale orders is to do a trade show. Trade shows are a big expense from the booth fee, designing your booth to traveling to the show, but they have a big payoff. To be honest, I don’t have a ton of experience in the wholesale world, but I wanted to present it as an option to you. If this is something that interests you, then I suggest you work out your pricing first so that you know it will be worthwhile and profitable for you. 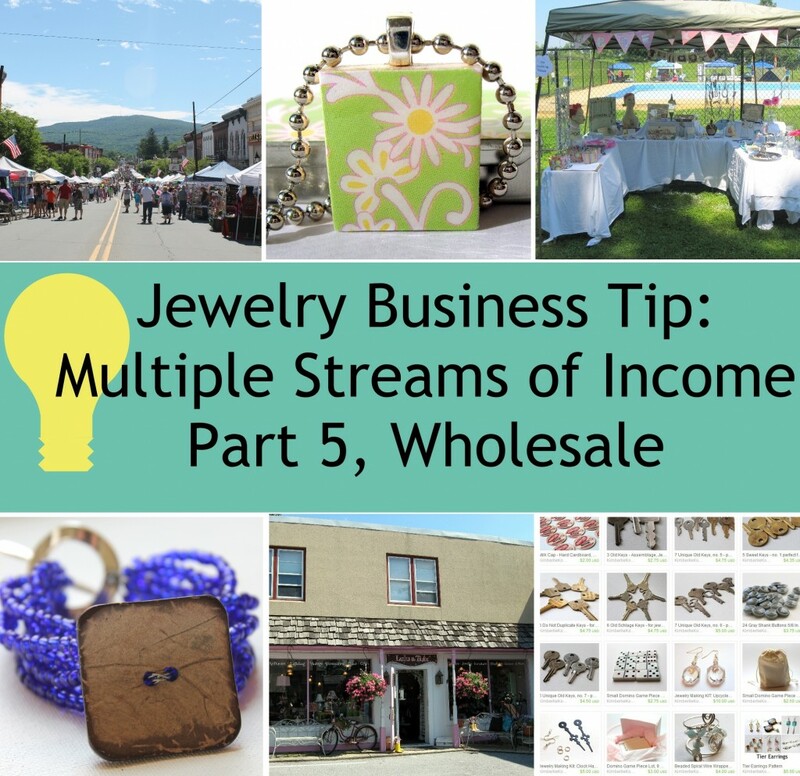 This entry was posted in Business, Jewelry Business and tagged jewelry business tip, jewelry business tips, multiple streams of income, selling jewelry wholesale by Kimberlie. Bookmark the permalink.